Free Advice offered by Proswim to help you maintain a healthy pool. There is a plague of this persistent algae in Brisbane at the moment. It’s a yellow/brown colour and looks like sediment on the floor of the pool. If you vacuum it away and it’s back the next day, chances are it’s Mustard Algae and NOT sediment. This strain of algae can be difficult to get rid of and is virtually immune to chlorine. We have been working on a solution and this is what we found is the most effective method to remove this type of algae. Vacuum algae manually to “waste”, not through the filter. Backwash the filter or clean the cartridge. Put all pool cleaning equipment and toys etc stored near the pool into the water. Leave your auto pool cleaner in the pool but not connected. Move any outdoor furniture away from the pool area and hose clean. Do not return furniture to pool area for at least one week. Dilute and add 1lt Purex “Metal Free Algaecide” to the pool. Dilute and add 1lt Purex “Pool Algaecide” to the pool. Sprinkle in to pool 1kg Purex “Oxy Boost”. Add 1 Purex “Trio Negate” to the skimmer box. Run the filter for 4 hours. Next day, connect your auto pool cleaner and run as normal. Following day, backwash the filter or clean the cartridge. If the Algae returns or is still visible after 7 days then add 2.5 lts Purex “Tropical Algaecide” to pool. Take a water sample to your nearest pool professional for analysis. What do I do If I think my pool is leaking? Firstly determine the rate of water loss. Expected losses are ½ to 1 inch during Winter and 1 to 2 inches during Summer per week. This can also depend on the position, shade cover, and wind exposure. Also look at weather changes e.g. it’s now Summer and the kids are splashing around, there for more water loss. Wind factor can actually take more water out than heat. The average leak is approximately 1 inch per day. Sometimes cracks appear in the marble finish of a concrete pool. These are normally only in the marble itself, which is approximately ½ to 1 inch thick. The likely hood of the actual concrete shell cracking, which is approximately 6 to 8 inches thick, is unlikely. If the main shell is cracked there is an obviously serious problem. Leaks can be from the interior e.g. vinyl liner, the plumbing, the back of eyeballs, around the front edge of skimmer boxes, down backwash lines, behind light fittings e.g. through the conduit, hydrostatic valves, bottom bungs in older Filtrite skimmer boxes etc. Once you determine that there may be a leak, follow these procedures to eliminate the simplest and most obvious causes first. Always check the backwash line or waste valve first. Remove the backwash pipe fitting, turn the pump on and run in the ‘”filter” position. Check for water leaking down the drain. If it is, then the backwash valve gasket will need replacing. If you have a cartridge filter, check to see where the waste water goes and that it is not leaking down the drain. Fill the pool to its correct level and mark the pool interior with a pencil. Run the filter all day and note the water level after 24 hours. Turn the filter off for 24 hours and note the drop. Is there a significant difference? Does the pool leak more with the filter on or off? Check the pump while it’s running, does it seem to be sucking air or turbulating in the bowl? This indicates it could be in the suction line. Also check the return jets, do any or all of them appear to be spitting air back into the pool? This could indicate it’s in the return line. Next step is to simply let it leak. Every 24 hours make a note of the drop, this will indicate the rate of loss and help to identify the leak. We usually require about 5 to 7 days to help determine where the problem may be. If the water stops at the bottom of the skimmer box entrance it may be in the suction line. If it stops at the return jets, it may be in the return line. However if it keeps going past the returns, it could be the Hydrostatic valve in the floor of the pool. Please note that vinyl pools do not have one. The next step is for a qualified service technician to go onsite and do some dye testing etc. To organise our service technician or have an ultra sound test performed simply call us with the information you have collected from the above steps so we may determine the best procedure to locate the leak. How do I drain water from the pool? If you have a filter with a backwash valve it is simple. Turn the valve handle to “waste” or “bypass” and run the pump until the required level is reached. Do not move the handle while the filtration is running. If you have a cartridge filter you may have a waste valve, if not then water can be siphoned out with your garden or vacuum hose. How can I prolong the life of my salt chlorinator cell? Running the filtration for long periods on low levels of salt. Cleaning the cell in too strong a solution of acid. Always use a proper cell cleaning solution. Not cleaning the cell often enough, leaving a build up of calcium. How long should I run my pool filter and salt chlorinator? There is water leaking from under my pool pump motor, what is wrong? The mechanical seal needs replacing. It is important to have this simple repair done as soon as possible or further more expensive damage to the bearings will occur. My pool pump and motor is noisy, it is making a whining or screaming noises. The bearings and mechanical seal need replacing, if left the pump will eventually seize up. My pool filtration is working but has very low pressure. The impellor in the motor may be blocked from debris, check your pump basket for cracks. The filter may be very dirty and not allowing a good flow. The pump may be sucking air so check you pump lid for cracks and the condition of the pump lid O ring. My pool is making a gurgling sound, what is wrong? The water level is too low, it should be at least half way up the skimmer box opening, with about 2 cm (1″) gap at the top. Don’t forget to bleed the air out of the filter! My pool is not skimming the leaves, what is wrong? Either the water level is too high, drop the water level to 2 cm below skimmer opening, or the weir door is missing. How do I work out how much water is in my pool? Average length by average width by average depth in metres equals volume in kilolitres. What things should I consider when looking for a new pool filter? Diatomaceous Earth(DE) Filters clean down to 3 microns and gives the best water clarity of all the types of filters. DE filters have a backwash valve for ease of cleaning but do require to be stripped and cleaned manually at least 3 to 4 times a year. Sand filters are the lowest maintenance, not to mention the most popular. They clean down to 20 microns and have a backwash valve for ease of cleaning. The sand lasts approx. 10 years. Cartridge filters clean down to 15 microns and are ideal for above ground pools as well as where water is scarce. They do not have a backwash facility so you need to hose the cartridge element manually. An element lasts approx. 5 years. What are the advantages of salt water chlorination? Salt water pools are easier to look after because they make the chlorine for you, which also means they are cheaper to run. The water is softer and much nicer to swim in. It also solves most eye irritation problems because the required salt level is the same as the salinity of our eyes. There are more salt pools in Australia than any other form of sanitisation. How do I backwash my sand filter? Always turn the pump off before moving the valve handle. Select the “Backwash” position and turn on pump. Run for 2 minutes or till sight glass is clear. Select the “Rinse” position and turn on pump. Run for 1 minute or till sight glass is clear. Select the “Filter” position and turn on pump. “Waste” is used to lower the water level or vacuum direct to waste. “Recirculate” is used when the pool is green so it doesn’t clog up the filter. “Closed” is only ever used when the filter is below water level. How do I clean a salt cell? Normal units should be done monthly. Self Cleaning units should be done yearly. Remove cell and soak plates only (not brass terminals) in a proper salt cell cleaning solution for 30 minutes. Hydrochloric acid will shorten the life of the cell by attacking the plates. Remove cell and rinse with clean water. Refit cell making sure the brass terminals are clean & tight. What things should I consider when deciding on a pool builder? We are happy to help you evaluate any quotes. We can point out the differences between the quotes and make sure you are comparing the same thing. Always make sure they are a SPASA member and have a BSA license. Lack of chlorine and or lack of circulation. The correct amount of chlorine stabiliser must be used. For an average 50,000 litre pool the filtration must be running for at least 4 hours per day during winter and 8 hours per day in summer. Why is my pool cloudy? When do I need to add Chlorine to my pool and what type should I use? Above ground pools usually use dry calcium based chlorine because it is not as corrosive as liquid chlorine. In ground pools usually use liquid chlorine because it is cheaper. Saltwater pools should only use sodium based chlorines such as liquid or stabilised powder chlorine. Calcium granular chlorine leaves a residual of calcium behind, that is the white substance you have to clean off the chlorinator cell. Why would you add more to be attracted to the cell? Large doses of calcium chlorine will cause cloudiness. When water evaporates from my pool, do I loose salt? No. Natural evaporation is between 2-4cm per week depending on wind and heat. Salt and Stabiliser do not evaporate. What is wrong with my pool when the kids have an earache? Probably nothing! It is almost certainly Tropic Ear, a fungus growth caused by dampness in the ear. A Doctor can fix it very quickly, better still, teach your children to dry inside their ears as soon as they get out of the pool. What is wrong with the pool, my kids have sore eyes? It could be that the pH level is either too high or too low, very occasionally if the chlorine is too high. More often than not it is simply that the children have been swimming underwater for long periods with their eyes open. Bright orange / red stains that look like a sun burst are probably “reo rust” i.e. the steel reinforcing rods in the pool shell are rusting through. These can not be treated chemically. The pool needs to be drained to fix them properly. Organic Stains: These are caused by leaves, debris, dirt, algae etc. If on the walls… For Pebble and Marble interiors add a strong copper based Algaecide and scrub using Stainless steel brush. For all other interior types use a non copper based Algaecide and scrub using a nylon brush. On the floor or step areas… Pebble and Marble interiors or slate steps, scrub using stainless steel brush first then sprinkle 500gms of Granular Algaecide over stains, leave filter off and allow to settle for 2 hours, scrub again then run filter 2 hours. For larger areas use 1kg Stabilised Chlorine instead. All other interior types use as nylon brush and only allow to settle for 20 minutes. If caused by copper, iron, manganese etc from tap water… These minerals normally cause brown or black stains and is most commonly found in Fibreglass pools due to the sensitive nature of the gel coat surface. Add 1kg stain remover per 50,000lts. If the water turns cloudy then add 1lt clarifier per 50,000lts and run filter till clear, then clean filter. Turn the salt chlorinator off and do not add chlorine for 24hrs before and after treatment. If caused from Algaecides that use inorganic copper sulphates… These are normally black stains spread all over the pool. An imbalance in the water chemistry causes the copper to plate out on the surface of the pool. Add 2kg stain remover per 50,000lts. If the water turns cloudy then add 1lt clarifier per 50,000lts and run filter till clear, then clean filter. Turn the salt chlorinator off and do not add chlorine for 24hrs before and after treatment. Possibly caused from metal objects lying in the pool… These will normally be in the shape of the object and are moved around by the auto pool cleaner giving the impression that there are several of them. Put a handful of stain remover into a filter sock, tie a knot and then place this onto the stain. Allow to settle till stain is gone then move onto the next stain. Turn the salt chlorinator off and do not add chlorine for 24hrs before and after treatment. What is Black Spot algae and how do I treat it? Black spot algae usually develops when sanitiser levels are too low for some time. It’s not uncommon for it to establish after a pool has been green a few times. The reason it is hard to get rid of is because it digs itself into the surface and has a waxy membrain to protect it. That’s why it’s important to scrub it regularly during treatment, to allow the chemicals to get in. Your local pol shop will have “Granular Algaecide” for the floor & step areas and use an organic copper based Algaecide. Never use ones that contain Copper Sulphate as this can stain the surface. First establish that’s what it is … Black spot algae is small to medium raised spots, some as big as your thumb nail and it’s actually dark green when you scrape it off with your finger nail. Sometimes it’s confused with Osmosis which only occurs in Fibreglass pools where as Black spot algae only occurs in Pebble & Marble interiors, slate steps and waterline tiles. Turn salt chlorinators off till the next day for this treatment. Dilute and add 200mls Hydrochloric acid per10,000lts, run filter 1 hour. Add 1lt Liquid Chlorine per 10,000lts, run filter 1 hour. Dilute and add 200mls organic copper Algaecide per 10,000lts, run filter 2 hours. Turn filter off and sprinkle 200gms granular algaecide per 10,000lts over spots, allow to settle for 2 hours then scrub using stainless steel algae brush. Note: For bad infestations do both the above treatments. Turn filter off and sprinkle 500gms granular algaecide over spots, allow to settle for 2 hours then scrub using stainless steel algae brush. How to add dry chlorine correctly? Adding dry chlorine any other way will clog up your filter and / or send the water cloudy. Add desired amount of dry chlorine to a bucket of pool water. Never add any more than 500gms per bucket of water. Stir well for 2 minutes and allow to stand for 20 minutes. Do not restir. Pour liquid only into pool. Dispose of residue. It makes a good weed killer but do not put in wheelie bin. How do I use a Nature2 Spa Stick? Filter 2 hours without use plus when using spa. For light use (once or twice a week) sprinkle 1 level lid of “Shock plus” into spa. Use 2 level lids for heavy use (3 times or more a week). Optional – Add ½ level lid of Spa silk for softer nicer smelling water. Sprinkle in 1 level lid of “Spa chlorine”. Hose filter cartridge using high pressure nozzle. *Sprinkle in 1 sachet “Spa & cartridge cleaner” and run pump for 1 hour. Drain spa completely, wipe clean and refill. Soak filter cartridge in warm water and 1 sachet “Spa & cartridge cleaner” then hose cartridge using high pressure nozzle. Place a Nature 2 spa purifier inside your filter cartridge. Sprinkle in 2 level lids of “Spa chlorine” & run for 2 hours with the cover off before use. * = initially only. What is Osmosis & how do I treat it? First establish that’s what it is … Osmosis only occurs in Fibreglass pools where as Black spot algae only occurs in Pebble & Marble interiors, slate steps and waterline tiles. It is seen as very small grey spots usually with streak lines running through them and there may be lumps in the Gelcoat. It is a cosmetic condition of the Gelcoat and poses no threat, it simply looks horrible. Initially – add 2lts Hydrochloric acid per 10,000lts, run 4 hours. Weekly – add 500mls Liquid Chlorine per 10,000lts. September – Dissolve and add 200gms Buffer per 10,000lts per day for 6 days. Take sample of water to the pool shop for testing as well as fine tuning to get your pool ready for swimming again. Sprinkle in 200gms stain remover per 10,000lts. Repeat dosage after 7 days if some spots remain. Do not super chlorinate for 7 days before or after each treatment. The truth about pool salt. Salt is Sodium Chloride (NaCl) but it is not 100% To be used for human consumption it needs to be a certain purity and grade(size). Pool salt does not have to meet these requirements but the purity and grade still matter. Cheap pool salt is cheap for a reason. It is nowhere near as pure or refined as the Olsson’s pool salt that we use. There are several other minerals in the salt and if these are not removed during processing then the salt is not as pure and can stain your pool. The cost of the stain remover is $35.00 a kilo. When it comes to refinement, there is no comparison. The cheap salt is like rock salt and very difficult to dissolve. You need to spend awhile brooming it in to dissolve it or it will stain your pool. Olsson’s pool salt is ultra refined to a point where it is fast enough dissolving that you don’t have to broom it in at all. 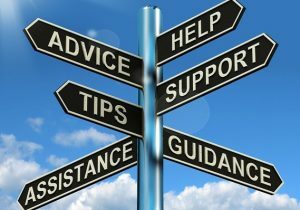 FREE ADVICE, FREE ADVICE, FREE ADVICE, FREE ADVICE, FREE ADVICE, FREE ADVICE, FREE ADVICE, FREE ADVICE, FREE ADVICE, FREE ADVICE, FREE ADVICE, FREE ADVICE, FREE ADVICE, FREE ADVICE. CLOSED SUNDAYS in June, July & Aug.
Proswim Pool Shop © 2017 - Site Designed and Powered by DataQuest Pty Ltd.